Hiya, blogging peeps! It's so good to have you visiting today. 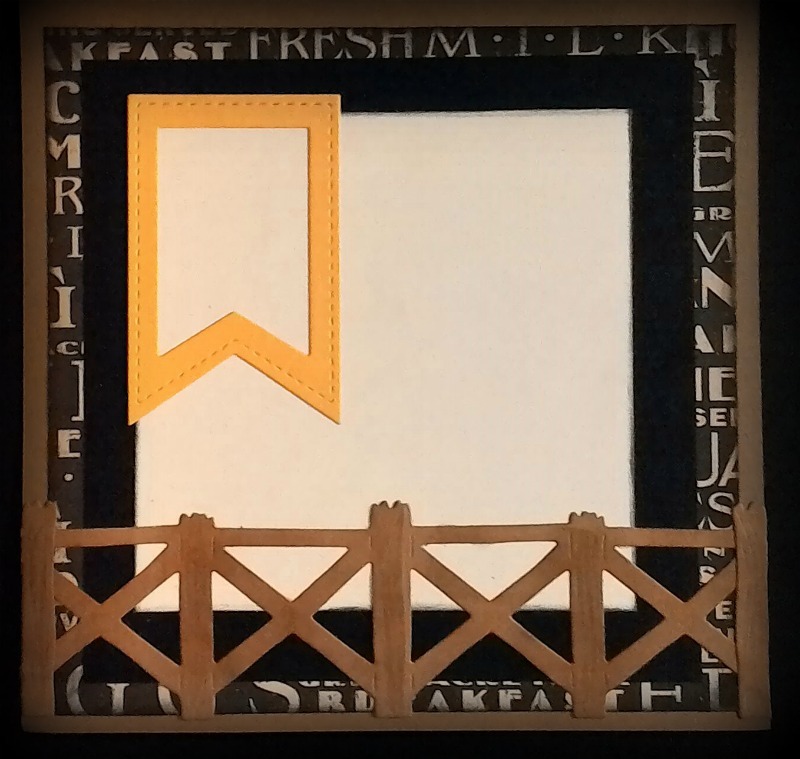 I'm here to show you what I've been busy making for my DT project at Inspiration Destination. Our wonderful sponsor this week is Bugaboo! 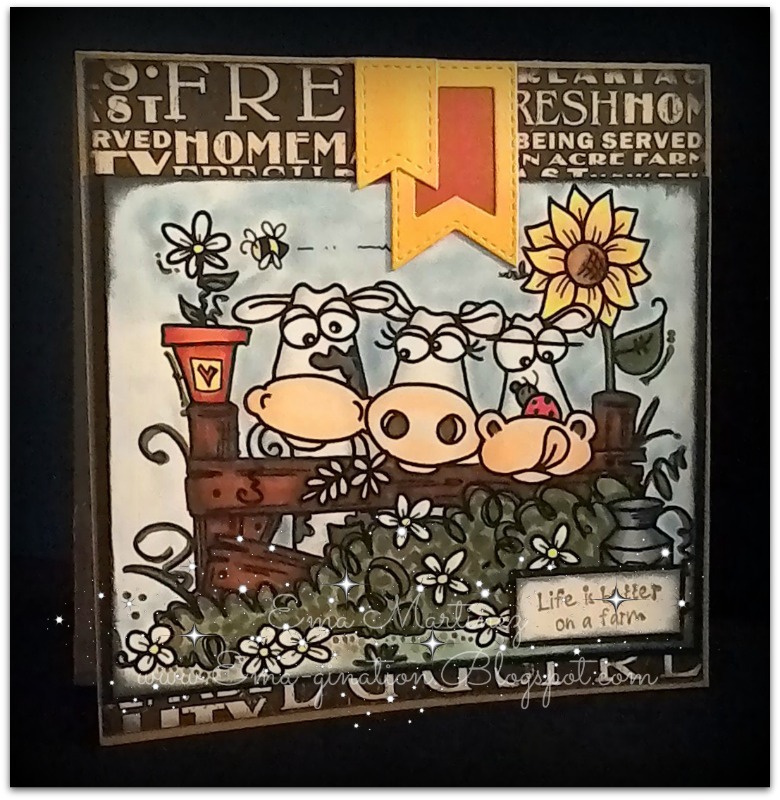 I've used Scene It - Cow Trio and colored it with my Copic markers and Pebbles Chalks (sky). 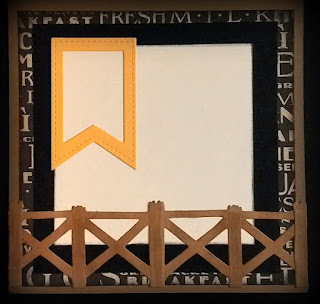 The banner and fence die cuts are from La-La Land Crafts, as is the sentiment. Printed card stock is from 'Farm Fresh', a The Paper Studio paper pad at Hobby Lobby. Just love this image! Fabulous card..inside and out! Thanks for joining us at Creative moments. Wow this is a great image and the card is fantastic. 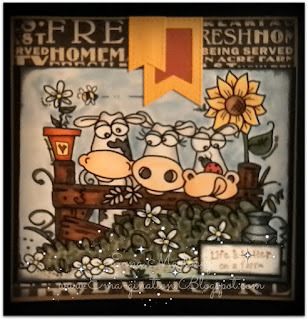 Very cute farm image and love how you've coordinated the inside, using the fence. 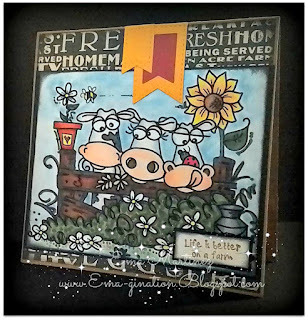 Thanks for participating in our challenge at Love To Scrap. Love, love, love this image and you colored it wonderfully! So glad you joined the back porch gang at 613 Avenue Create. Have a blessed weekend. Stunning project! 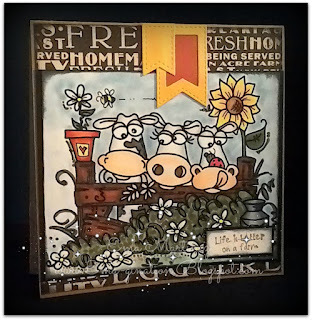 Love your card design and cute picture!Thanks for joining us at 613 Avenue Create. Wonderful card, great paper choice. Thanks for joining us at CHNS patterned Paper Challenge this month. Hi Ema I have been following this blog for a long time (unless you have another blog) let me know if you have another blog and I will follow that one - thanks again. Very nice card and cute image!!! Hi Ema...Thank you so much for stopping by my Blog, for the wonderful comment you wrote and for signing up as my new follower. I am now following you as well. God bless!